There are cases, however, when you need an extra level of verification. For instance, if it's a very complicated problem that requires a lot of testing, you may want a member of your Quality Assurance team to check the resolution first. This new workflow is very powerful, but completely optional. 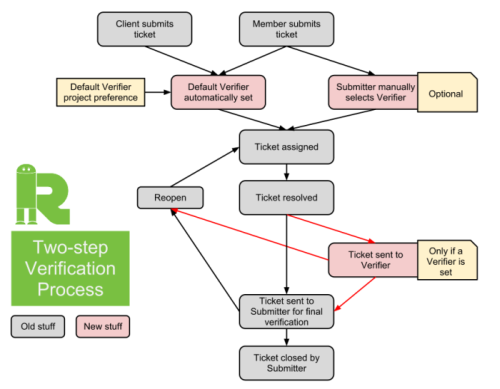 If you don't set a verifier, everything will work exactly as it always has. And if you have questions, don't hesitate to contact us here.